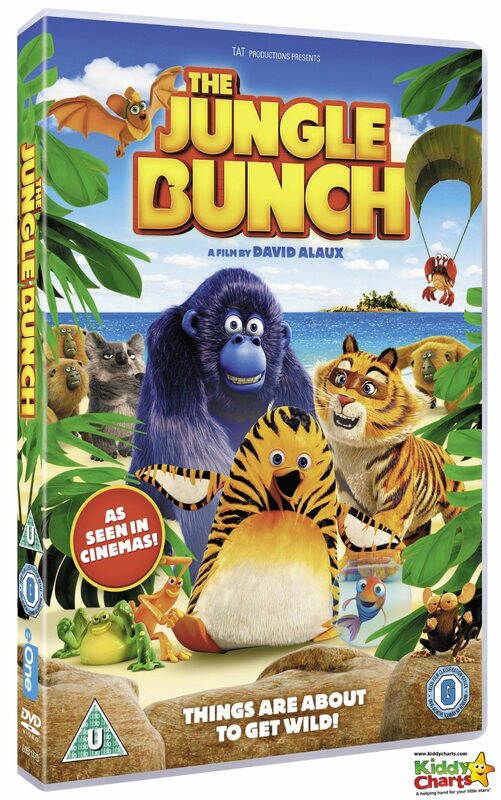 We are into the New Year now, and here is our first giveaway for 2018; a delightful DvD, that your kids will love – The Jungle Bunch! But what is the movie all about, I hear you ask? The film stars the rather reluctant penguin, Maurice! He was raised by a tigress, and he is the clumsiest Kung-Fu master ever. He wants to maintain justice and order in the Jungle, just as his mother did before; and does his best to do so alongside his faithful friends. However, Igor, a rather sneaky little Koala Bear, is hell bent on obliterating the jungle once and for all. The DvD is aimed at kids aged 3-7 years old, but I bet older kids would like to take a look too – who doesn’t want to find out what a Penguin with a Tiger’s heart gets up to? As usual with our giveaways, it is incredibly easy to enter – just fill out the widget below – there are more entries for those sharing information on the giveaway with friends as well. We will give you a unique link when you enter, and you can pop that on any social media channel you would like to drum up a bit more interest in the giveaway. The giveaway closes on Thursday 15th Feb, 2018 at 11.59pm, and all the usual terms and conditions for KiddyCharts giveaways apply. The giveaway is only opent to UK residents as well. Helen is a mum to two, social media consultant, website editor and regular guest on Spanners BBC Cambridgeshire radio show. Since giving up being a business analyst when juggling travel, work and kids proved too complicated, she founded KiddyCharts so she could be with her kids, and use those grey cells at the same time. KiddyCharts works with big family brands (including travel) to help promote their services, as well as offering free resources to parents of kids under 10. She's happy to chat on anything parenting. She is also a part-time digital marketing analyst with Channel Mum. She can often be found hanging about on social media, and trying to avoid stepping on the Lego her kids keep leaving lying around. Buy our NEW Coloring Book and give £1/$1 to a Mental Health Charity! Sign up to hear about our printables on the Gumroad creator community! Helen is a mum to two, digital marketer and website editor. She founded KiddyCharts in 2011 to enable her to work from home. KiddyCharts is passionate about offering kids and parents its resources for FREE. KiddyCharts continues to make this possible because the site works with big family brands to promote relevant products to their audience. Helen works part-time as a digital marketing analyst with Channel Mum. Spare time is mostly spent trying to avoid stepping on the Lego her kids keep leaving lying around. Boredom busters gift guide and giveaway: Win £300 of goodies for keeping kids busy!